How much work do you think goes into an effective and successful e-learning program? The answer is, quite a lot. E-learning programs require the combined efforts of several different types of workers, each contributing many hours of work, to create even a single hour of high quality instruction. 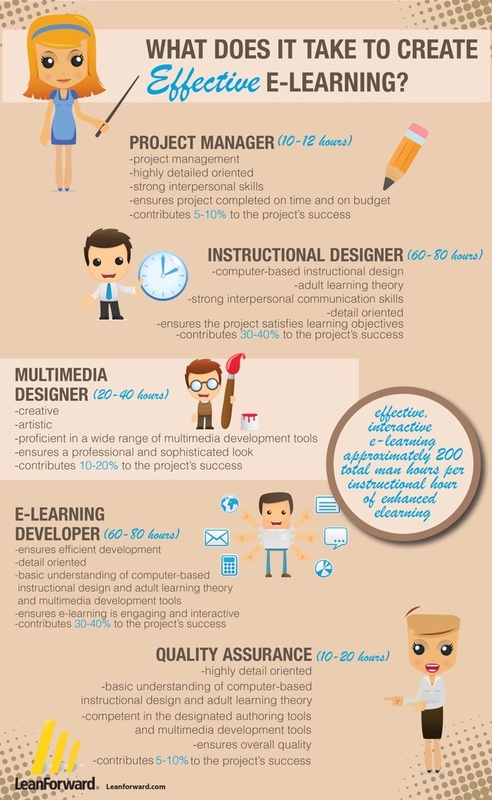 For more detail on what goes into the creation of e-learning, check out this infographic.